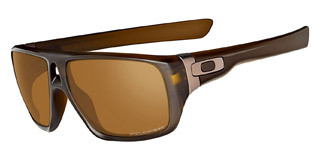 This is a review of the Oakley Dispatch Polarized sunglasses from a boater’s point of view. 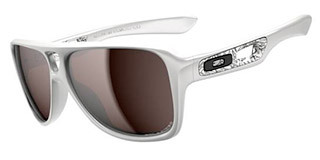 As far as raw style goes, the Oakley Dispatch sunglasses are hard to beat. They are not active sunglasses – meaning I wouldn’t use them for a regatta, speedboat racing or for fighting big fish. They are about style and serious good looks. These sunglasses are the perfect merge of classic aviators into a non-metal frame shape with sharper angles. They are large and definitely make a bold statement. The Oakley HD Bronze Polarized lenses in this pair are absolutely incredible. I’ve used many Oakley lenses over the years and Bronze Polarized still remains one of my favorites. The best thing about these lenses is that they increase contrast without completely screwing up the colors in the process. Other contrast lenses like Titanium and VR28 are great, but they do mess with the trueness of the colors a little bit more than Bronze Polarized. The glare reduction is as effective as can be and the lack of an Iridium coating allows your eyes to be seen. Some people will like this, some people won’t. Generally, in full wrap sunglasses like Oakley Oil Rigs or Batwolfs a reflective Iridium coating is a must because seeing the eyes through those kinds of shades is not cool, IMO. For those, I stick with Black Iridium coated lenses like VR28 Black Iridium Polarized, or Gold Iridium Polarized. But in retro-style sunglasses like the Dispatch, it’s actually pretty cool when you can see a hint of your eyes. All this is personal opinion of course. As I said earlier, I wouldn’t use them for a regatta or for intense fishing, but for cruising, hanging out while anchored at a beach or bay, lounging on a wake boat and spending time at the marina, they are impossible to beat. Over the water, the Bronze Polarized lenses do their duty of cutting down on glare and increasing contrast. However, due to their large shape and the fact that they don’t hug your face, chances of hitting them with something and dropping them into the water are somewhat higher. Additionally, since they are so big and tall, they touch my eyebrows causing sweat to collect near the top of the lens. This in turn causes fogging and generally gets the lens sticky and oily. I don’t know about you, but my acidic sweat seems to destroy Oakley Polarized lenses in a matter or a year or two. Needless to say, they are my “relaxing and looking cool” sunglasses so I switch them out for the Gascan or Oil Rig models when it’s time to get active and trim sails. As far as looks and stylish retro function goes, these are my favorite sunglasses at the moment. The fact that you can exchange the Square-O logos on the stems is brilliant. I’m already looking to buy a set of diamond-plate chrome ones. By the way, Oakley released the Dispatch 2. Take a look at those in the photo to the right. They look good, but I like my Matte Rootbeer Dispatch with Bronze Polarized lenses a whole lot more. The other cool thing about them is they are not the biggest sellers. Meaning, they are somewhat unique and not everyone and their mother has them. Not everyone seems to think they can pull off the retro aviator look. Er… Retro sailor look I mean! Order your pair of Oakley Dispatch of Oakley Dispatch II sunglasses from Amazon using the link below and you’ll be helping FloatWays in the process! Finally, check out the video review of the Oakley Dispatch below. Don’t forget to subscribe to our YouTube channel!